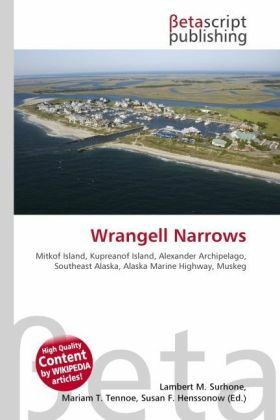 The Wrangell Narrows is a winding, 35-km-long (22 mi) channel between Mitkof Island and Kupreanof Island in the Alexander Archipelago in Southeast Alaska. The Wrangell Narrows is one of the six Listed narrows in South East Alaska. There are about 60 lights and buoys to mark it because of its winding nature and navigation hazards. The channel is used by fishing boats and Alaska Marine Highway ferries. Very large ships (such as the largest cruise ships) do not use it because it is too shallow and narrow for them to pass safely. Interestingly, because this is the only safe "Inside Passage" at this latitude, these larger ships must navigate in "outside" waters. Mitkof Island is an island in the Alexander Archipelago in southeast Alaska, at 56°40 N 132°47 W / 56.667°N 132.783°W / 56.667; -132.783. between Kupreanof Island to the west and the Alaska mainland to the east.